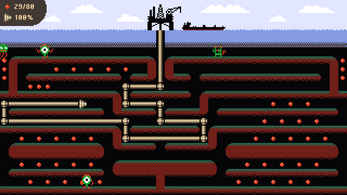 Guide the drill head through 8 mazes of underground caverns collecting oil pockets and defeating resident monsters. 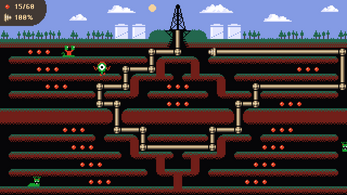 The drill shaft trails behind the head and is vulnerable to attack from the monsters. 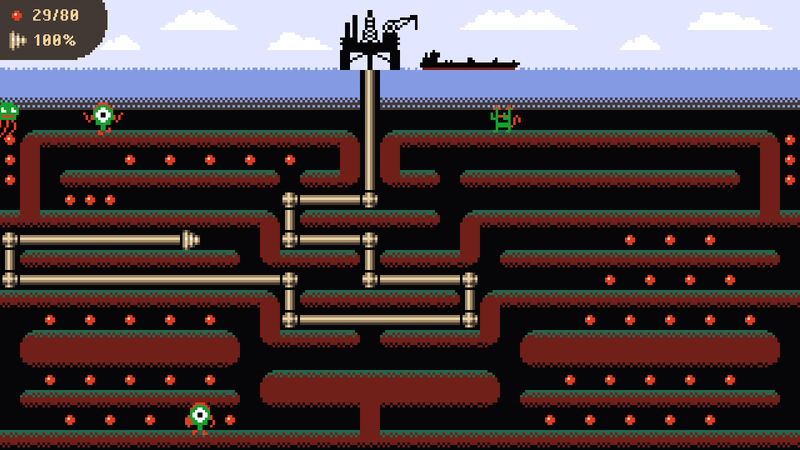 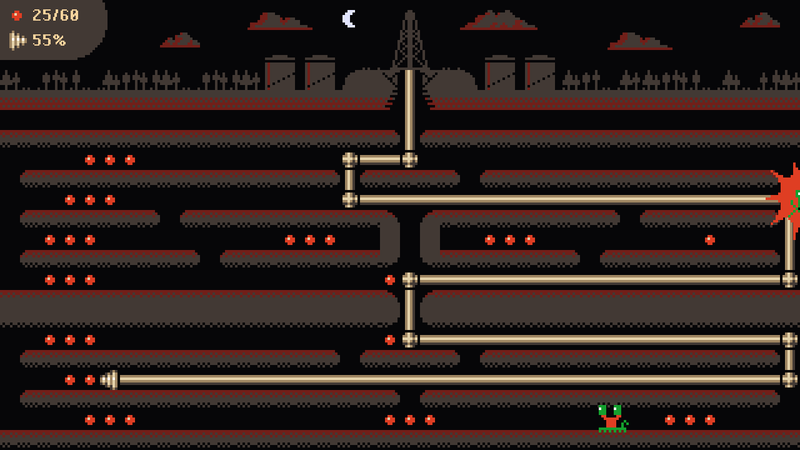 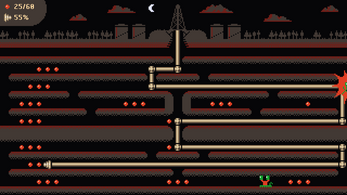 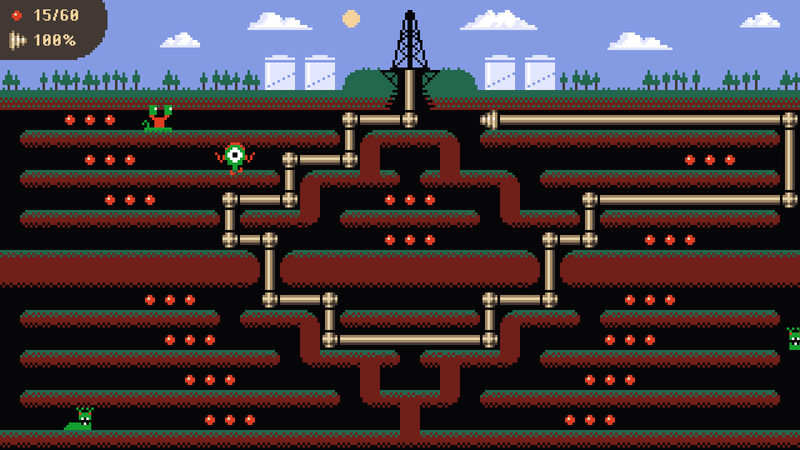 Collect all oil pockets on the level to progress.